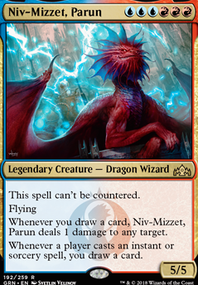 My main Niv-Mizzet Deck. At the moment, most of the card upgrades I'm looking at are fairly expensive ( Mana Drain , Snapcaster Mage , Jace, the Mind Sculptor , etc. ), and I don't want to invest that kind of money just yet. However, if there are any other cards that I should add, please just let me know.